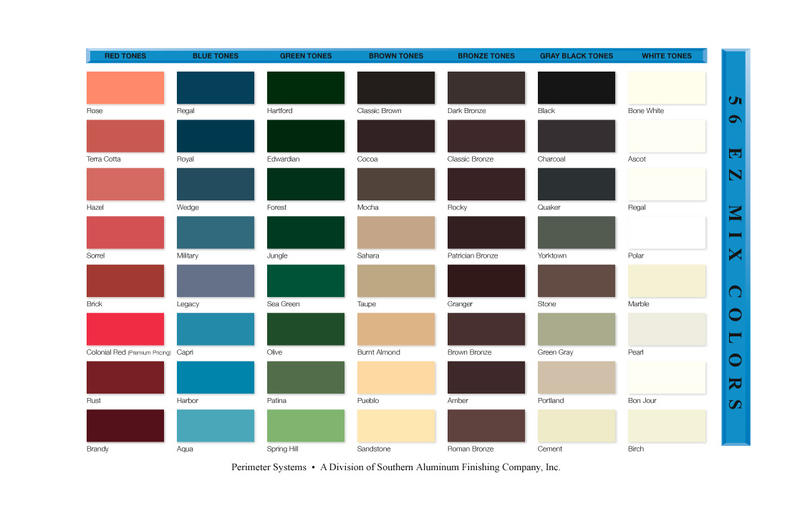 Anodizing Color Choices SAF – Southern Aluminum Finishing Co, Inc.
Volume batch finishing can significantly impact the pricing of anodizing services. More anodizing per anodizing color is better. This is because an anodizer must use enough dye to charge an anodizing tank in which to completely submerge aluminum parts for anodizing. With large parts, say 24′ long, dyeing can be very expensive, many thousands of dollars in ultility costs, to charge a 30′ tank with a light fast aluminum dye for anodizing. The anodizer must recoup this cost in his pricing. Standard color choices, including Light Bronze, Medium Bronze, Statuary Bronze Anodizing, Black Anodizing can have a very positive impact on anodizing setups. To avoid anodizing setup charges, anodizers like SAF, who offer architectural anodizing may reserve tanks for commonly used clear (silver), a selection of bronze anodizing choices & black anodizing jobs. SAF Gold Anodizing is also a common anodizing color choice, and may also help customers avoid anodizing set-up charges. We encourage customers to Contact an SAF Anodizing Pro beforehand. 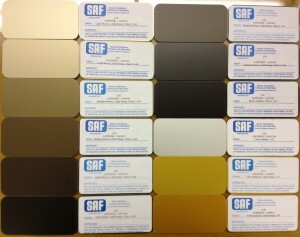 The Anodizing Color Samples image below illustrates the SAF range of Anodized Bronze Finishes available, as well as our Class II Clear and Gold Dark Anodizing Color ranges. Samples can be mailed upon request. It is always better to have a physical sample to compare color. (NOTE: Since color will vary from screen to screen, these images should not be used for approvals or to choose a color). ** Click Image to enlarge** Request a standard anodizing sample from your SAF Anodizing Pro. 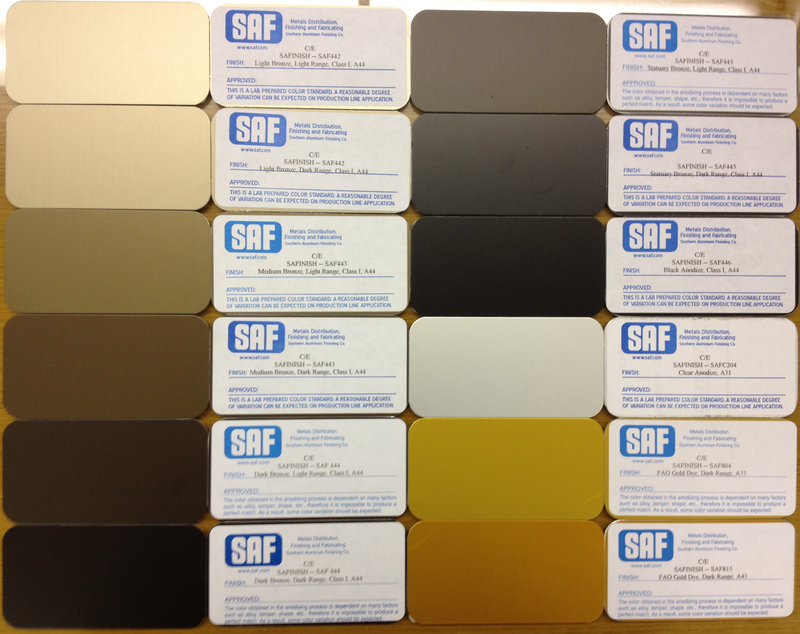 SAF anodizing color samples on SAF aluminum sheet may be available by customer request to help confirm anodizing finishing choices. Includes a wide selection of Bronze anodizing finishes.